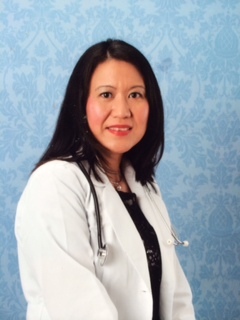 Dr. Leslie Taguba-Madrid is board certified in Endocrinology, Diabetes and Metabolism. She earned her medical degree at the University of the Philippines, College of Medicine and had her Internal Medicine training at the Montefiore Medical Center, a hospital affiliate for the Albert Einstein College of Medicine. Her fellowship training for Endocrinology, Diabetes and Metabolism was at the Cleveland Clinic, Ohio, where she was exposed in the care of a wide range of complex endocrine disorders and where she was involved in research for novel molecular testing methods for diagnosis and surveillance of thyroid nodules and thyroid cancer. In her free time, she enjoys reading, playing with her little daughter and spending time with her family.